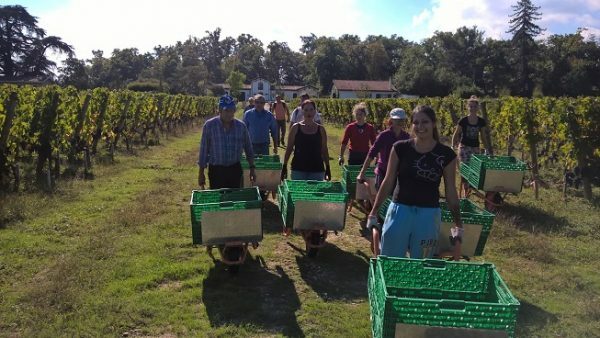 A great number of tourists come to Bordeaux specially to discover the wine harvests – and some even take the opportunity to work at the ‘vendanges’ (harvest) themselves as grape pickers, pruners, or sack-carriers. For this unique experience, you need to come to Bordeaux at the right time, since the harvest normally only lasts for about three weeks a year! The exact date is never fixed in advance, but rather depends on the global weather trends from spring and summer up to the date of harvest. This year, 2016, we had a wet spring which did nothing to help speed up proceedings, and so the harvest is a little late. It’s sunny and hot at the moment, too, so no one is particularly rushing to pick the grapes! Let’s just say that for the wine-growers, 2016 has been a ‘relaxed’ year. 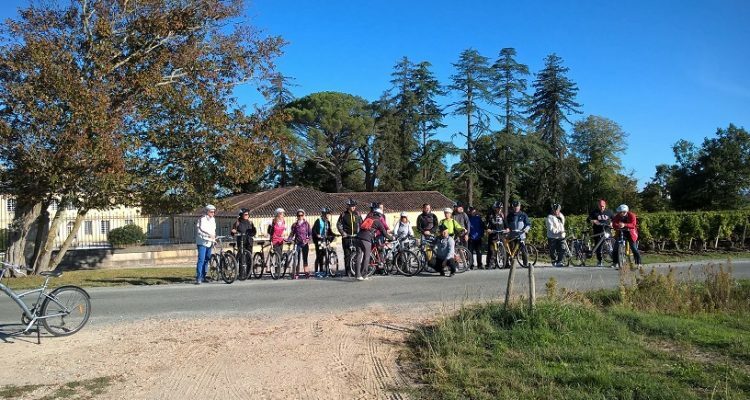 Roaming from one Château to another on our bikes, we can see the different harvesting techniques. However, one thing is sure – in this region of Crus Classés, each producer is harvesting by hand. At Château Hannetot, the famous consulting oenologist Serge Charritte introduced the method of collecting the grape bunches in lightweight wooden crates to keep them clean and soil-free. Each harvester has a wheelbarrow, which they take up and down their row of vines. 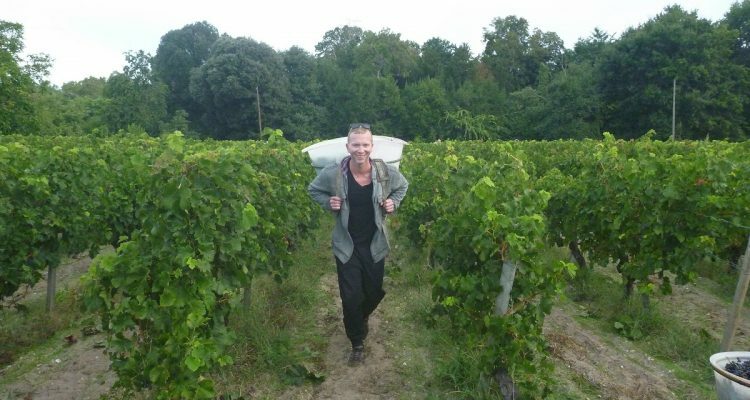 At Château Bardins (and many of the surrounding Châteaux) we use the traditional methods. The grape bunches are cut and sorted to remove the bad ones – then emptied into the big sack-carrier’s basket. The sack-carrier then goes to the trailer when his basket is full, to empty the grapes there. We’re lucky to have such friendly smiling harvesters with us this year. It’s not an easy job, yet they’re still in good spirits! We’ve had such good weather since the start of the harvest – ideal conditions for the grapes, but also for the morale of the harvesters themselves! 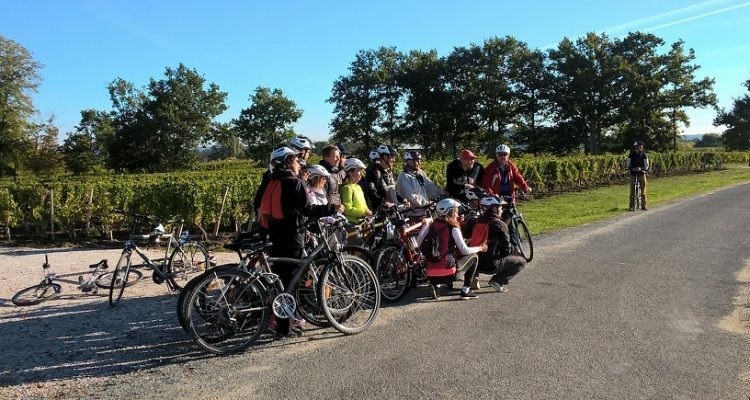 Great weather also means wonderful conditions to discover the vineyards by bike. 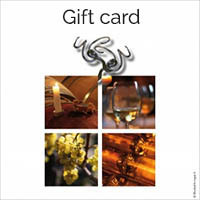 We stopped here and there to visit and attend some wine tasting sessions. Today, Château Carbonnieux welcomed us to their vaults and we were lucky enough to see their private collection of vintage cars. A great end to a great day!